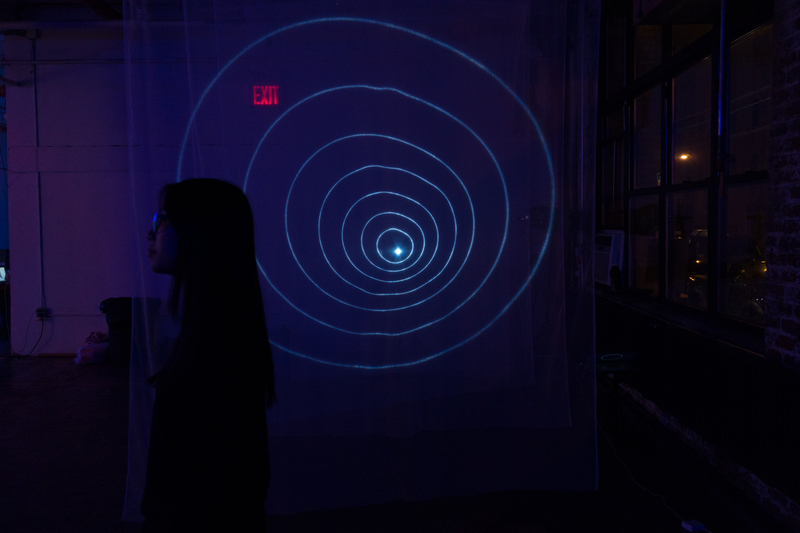 This is a visual and quite hypnotic experience, exhibited at Livestream Public in Brooklyn. 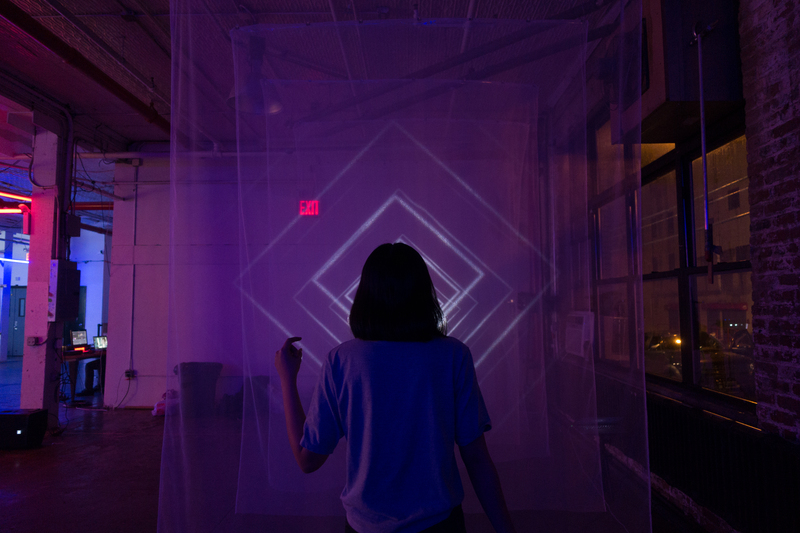 The event, Qualia, was organized by Jesse Harding in the class Performative Sculpture at Parsons School of Design. This installation was created in collaboration with Lama Shehadeh. 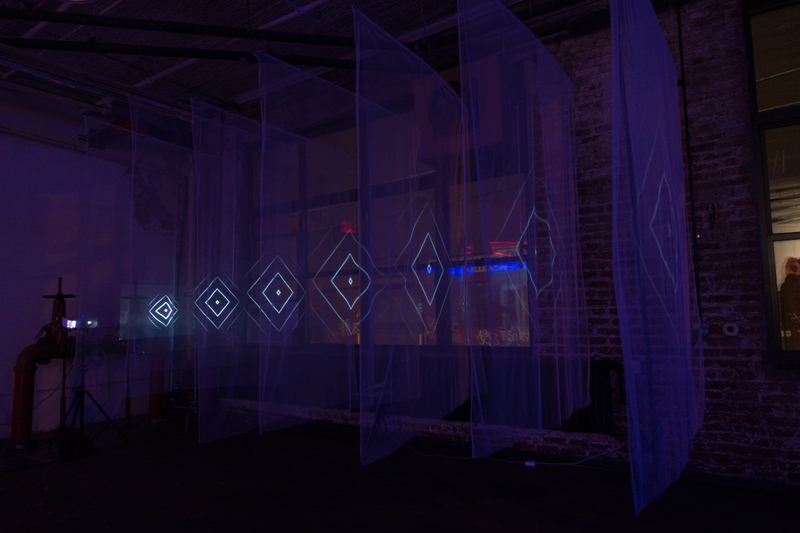 My role in this project was to design and code the generative visuals (GLSL), as well as the interactive part. 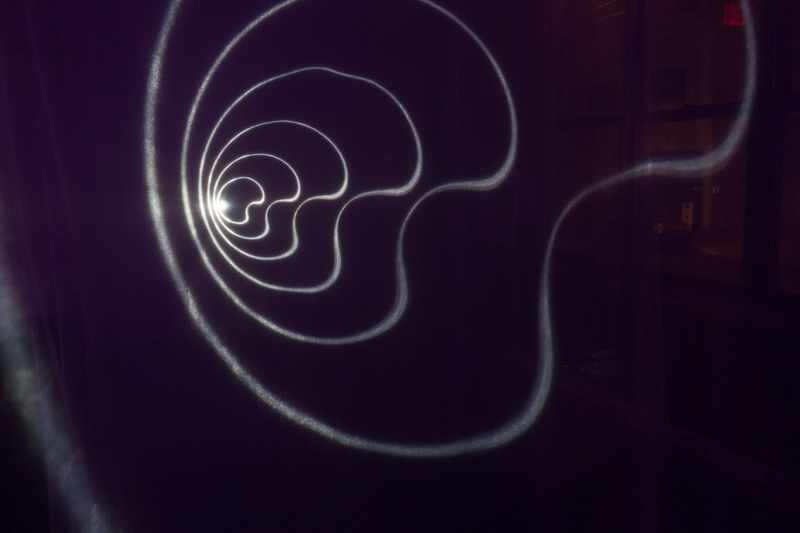 We had a Kinect set up, that would detect the visitors movement; this in turn changed the shapes movement. More generative art (shaders <3) can be found on my github here.